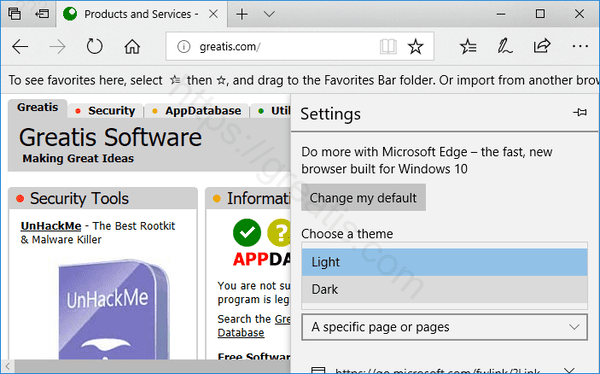 Microsoft Edge has a dark theme, but you have to enable it in Edge’s application settings. Even if you enable Windows 10’s dark theme, Edge will keep using its light app mode until you go out of your way to select dark mode. Here is how to enable it. 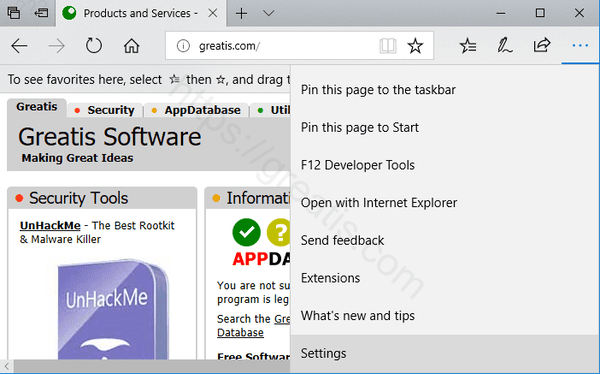 STEP 1: At first, run Microsoft Edge browser. STEP 2: Then click the menu button at the right top corner, and then select the Settings command at the bottom of the list. STEP 3: Finally, click the Choose a theme box near the top of the Settings pane, and then select the Dark option. Edge immediately switches to a dark theme.